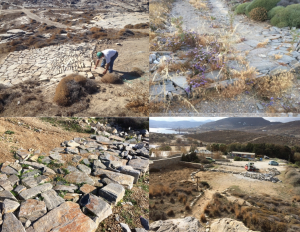 We are so excited with our new partnership with the Friends of Paros Park Association and the Environmental Park of Paros! Have you ever visited it? 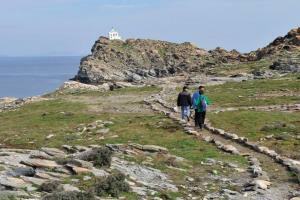 It sits on a 80-hectare area of municipal land, typical of the Cycladic landscape, exploited for millennia. The vicious circle of tree-cutting, overgrazing, fire and, more recently, the tourist industry, have put an enormous pressure on the local ecosystem and almost stripped it bare. 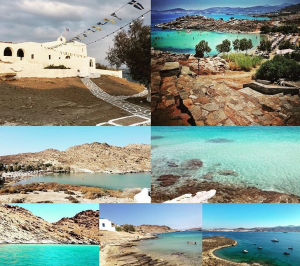 Since 2008 the people of Paros have stepped in in an effort to stop the degradation and have created what the Paros Park is today: a sanctuary for nature lovers, a hub for high quality cultural activities, an emerging model of sustainable development in the Cyclades. Nevertheless, there is still a lot to be done to prevent the severe erosion occurring, to reverse the biodiversity loss and to regenerate the fragile terrestrial and marine ecosystems, that are both affected by erosion. 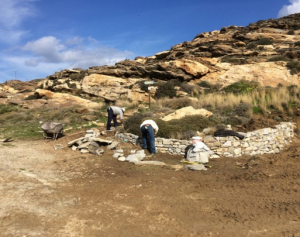 The CPF is proud to support these efforts and help the local community come together in a positive way, enhancing multiple functions of the Paros Park as a place of education, recreation, tourist attraction, environmental awareness and protection! 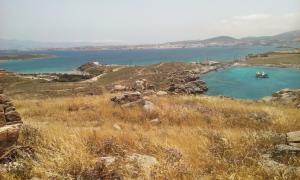 The projects aims: a. to provide a replicable and scalable model for erosion mitigation and regeneration of the fragile island ecosystems of the Cyclades, b. to revegetate and enhance biodiversity in a typically degraded area, where agriculture or animal rearing is no longer desirable, interesting or economically viable, c. to create a garden/sanctuary/showcase of the Cycladic flora, where tourists and locals alike can discover the rich but threatened biodiversity of the Cyclades, d. to raise awareness about the problems of the Cycladic ecosystems and about the cheap but effective solutions and practices used traditionally in the Cyclades and elsewhere in the world to prevent erosion and revegetate degraded land. Read here the relative Press Release in Greek!